This article will examine potential conflicts between sustainable development and property rights in light of: (a) the recent rise of the anti-Agenda 21 campaign that has rapidly gained traction in the United States, (b) a new book on the subject, and (c) a recent US Supreme Court decision of June 23, 2013. As we have seen in several recent articles on this website, there is a new, surprisingly successful attack on sustainability in the United States that claims that local and regional planning that includes environmental, energy, transportation, traffic minimization, and land use provisions is the manifestation of a surreptitious United Nations plot to undermine United States sovereignty to impose a Marxist/socialist new world order. 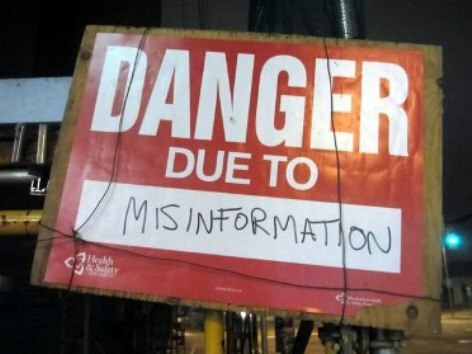 See the last in a three part series, Responding To the Anti-Agenda 21 Disinformation Campaign: A Rigorous Look At The Campaign’s Untruthful Claims. Although the claims that have been made by activists in the Anti-Agenda 21 campaign are so looney, absurd, and woefully ignorant of international law that some who have been aware of this recent development have chosen to ignore it on the basis that it could never achieve traction in a modern democracy in the 21rst Century, this right wing attack on sustainability has emerged all across the United States. As we have explained in considerable detail in past articles in this series, the anti-Agenda 21 campaign has been remarkably successful in the last two years in preventing local communities from implementing plans necessary to achieve their democratically derived community aspirations to implement local sustainability programs. The anti-Agenda 21 Campaign has been successful, at least in part, by claiming that sustainable development and Agenda 21 undermines property rights. They make this claim despite the fact that, as we have shown in previous papers in this series, Section 8.18 of Agenda 21 provides that governments and legislators should establish judicial and administrative procedures for legal redress and remedy of actions affecting environment and development that may affect rights. Agenda 21, section 10.5 also expressly says that property rights should be taken into account in land use decisions. And so, not only is there no support for the claim that Agenda 21 encourages the reduction of property rights, as we have seen, Agenda 21 says the exact opposite. It would appear that activists in the anti-Agenda 21 campaign believe that property ownership conveys the right to use property without limit and with no or few responsibilities to protect the environment or ecological systems. Although Agenda 21 does not undermine property rights are there potential conflicts between sustainability and property rights? A new book has been published that looks at potential conflicts between property rights and sustainability. The book is Property Rights and Sustainability: the Evolution of Property Rights to Meet Ecological Challenges which is edited by David Grinlinton and Prue Taylor. This book seeks to determine how to reconcile the exercise of freedom to use one’s property as one pleases with the responsibility to protect ecological resources. The book contains 15 chapters that examine potential conflicts between property rights and the responsibilities of property owners not to harm the environment. The book further identifies ways of reforming property law to establish clearer obligations to protect the environment. Although all authors in this volume acknowledge the importance of retaining property rights they also examine the need of property law to more clearly establish responsibilities that owners have to protect the environment. All of the chapters in this book acknowledge social benefits from secure property rights, however most of the chapters in the book assume that the property law must also be clearer about the obligations of property owners to avoid harming the natural resource base on which life depends. In the opening chapter, Grinlinton and Taylor argue that property rights law prioritizes economic interests over ecological obligations. In chapter two, Klause Bosselmann argues that current property laws inappropriately give priority to individual entitlements over collective responsibilities. Bosselmann further claims that the property law’s unfinished business is to reconcile private rights with public duties. Eric Freyfogle argues that is not right to pay land owners to forgo actions that are harmful to others. J. Ronald Engel argues that property law needs to reflect an understanding of moral obligations property owners have that are understood through reflection on covenants that ground the social contract. Peter Horsley criticizes current property law by claiming that it is based upon assumptions that humans own nature rather than an understanding of the relationship between humans and nature, namely that humans are part of nature. Property law according to Horsely fails to prevent many small cumulative impacts on nature, ignores the carrying capacity of ecosystems, and fails to protect ecosystem integrity. Thus, according to Horsely the current focus on “rights” is causing growing harm to the natural world on which we depend. Samuel Alexander claims that the overriding objective of property laws is to facilitate economic growth as efficiently as possible. Nicole Graham claims that the meaning of property rights has always evolved over time and that recent steps to solve environmental problems by use of economic markets has been built on six myths about markets. These myths are: (1) rights and profits are not accompanied by responsibilities and costs; (2) the fragmentation of property into multiple and concurrent interests is a good thing; (3) market players make rational choices with perfect information; (4) environmental products can be accurately valued; (5) the demand for environmental products is responsive to price signals; and (6) environmental markets can solve environmental problems. Successive chapters by Veronica Strong, Nin Thomas, and Lee Golden examine differing cultural approaches to property. Concluding chapters by David Grinlinton, Ann Brower and John Page, Elmarie van der Schyff, and Amokura Kawharu look at changing conceptions of property and the challenge of accommodating principles of sustainability to the ownership of and use of natural resources. This new book claims that there may be a need to modify property rights to protect ecological systems although none of the chapters call for private interests in property to be completely replaced by public interests. This book is an excellent summary of issues that arise when property rights conflict with the protection of the environment. Yet there are open questions about how frequently environmental protection objectives contained in land us plans, regulations that constrain land uses to achieve environmental protection goals, or permit conditions actually conflict with property rights. As we have explained in considerable detail in prior entries on this subject, Agenda 21 does not call for changes in property rights. In fact, Agenda 21 urges that property rights be protected. We now, however, look at whether many of the issues that have arisen in some of the local and regional controversies violate the property rights protection under the US Constitution. When the contested government action merely regulates land use without physically interfering with possession, the adversely affected landowner will have no right to compensation (a takings claim) absent a showing that the restriction denies the owner “all economically viable use of the land” or that it imposes burdens that bear no relationship to the regulation’s public benefits. In other words, unless the regulation virtually prohibits any valuable use of the land, courts will use a deferential balancing test to determine how far government regulation may go. The leading land use cases reflect the traditional theory that government may impose significant, even highly intrusive, restrictions on property rights for police power purposes. The usual test is that a police power imposition on property rights is valid unless it is “clearly arbitrary and unreasonable, having no substantial relation to the public health, safety, morals, or general welfare.” Notice the two elements involved: the limitation on property rights must be for a valid police power function (health, safety, morals, or general welfare) and the limitation imposed must bear at least some relationship to that police power purpose (must not be arbitrary or unreasonable). Thus it is clear that it is not a violation of property rights for government to impose reasonable restrictions on land use necessary to protect the environment unless the restrictions completely eliminate the use of the property by the owner. Yet the anti-Agenda 21 campaign has asserted that land-use restrictions such as those that require land owners to install stream buffers when necessary to protect water quality, zoning ordinances that attempt to assure that development does not exceed the carrying capacity limits of ecological systems such as the maximum sustainable yield of groundwater, or regulations that require the protection of wetlands are an infringement of property rights. But as Circo’s analysis makes clear, property rights are not unlimited, and the US courts have almost always upheld reasonable regulation of land needed to protect the environment. However, if government restricts any reasonable use of land to achieve sustainability goals, this would likely be seen by US courts as a violation of property rights. Yet courts do not see property rights as giving land owners the right to use the land in such a way that it adversely affects the environment. Does this mean that any proposed government restriction on land use in the name of sustainable development would not conflict with property rights as currently understood under US constitutional law? Here Circo sees at least one kind of government regulation urged by the idea of sustainability that could create conflicts between property rights and sustainability. That is in cases where governments limit the use of natural resources for the sole benefit of future generations. In such a case, Circo sees a potential conflict between sustainability and land use. It is in such cases where the issues of concern in the book discussed above arise. Yet, most environmental restrictions on the use of land that don’t prevent the land owner from using his or her land are not prohibited by property rights in the United States. And so, the anti-Agenda 21 campaign’s claims that sustainability undermines property rights is also not true for two reasons. As we have seen Agenda 21 calls for the protection of property rights. 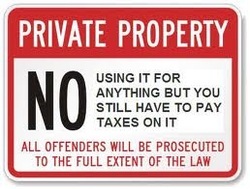 Also most of the land-use provisions under attack by the anti-Agenda 21 campaign do not violate property rights under. The general rule that environmental restrictions on land use do not entail an unlawful taking of property under the US constitutional law was set out in the Village of Euclid v. Ambler Realty Co., 272 U. S. 365 (1926). This case held that insisting that landowners internalize the negative externalities of their conduct is a hallmark of responsible land-use policy and limitations on land use do not create and unconstitutional taking. However a recent case by the US Supreme Court, identifies a potential infringement on property rights when government imposes unreasonable conditions on land-use permits or approvals. In Koontz v. St. Johns River Water Management District, No. 11-1447, 570 U.S. __ (2013), the court concluded that there could be an unconstitutional taking of property if governments condition the issuance of permit to mitigate adverse environmental protection goals when the condition lacks an essential nexus and rough proportionality to those impacts. Otherwise there is no taking. 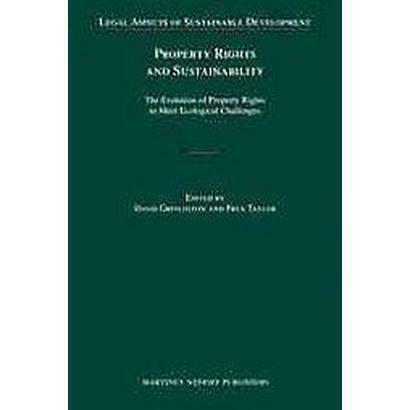 For the limited number of issues raised by sustainability that actually conflict with property rights, the book Property Rights and Sustainability: the Evolution of Property Rights to meet Ecological Challenges is good introduction to the issues that should be considered on matters where there is a conflict between protecting the environment and property rights. Responding To the Anti-Agenda 21 Disinformation Campaign: A Rigorous Look At The Campaign’s Untruthful Claims. Two new documents are available to help those interested in responding to the anti-Agenda 21 campaign that has been the subject of the last two papers on Ethicsandclimate.org that is undermining local and regional land use and sustainable development planning in the United States. As we have explained in the last two articles, an anti-Agenda 21 campaign has been surprisingly successful in the United States in undermining land-use, transportation, and energy planning at the local and regional level. The Tea Party in the United States appears to have a new focus: they are fighting local and regional government land-use and sustainable development planning on the basis that it is part of a United Nations plot to undermine national sovereignty and impose a Marxist/socialist new world order. The first article in this series on Ethicsandclimate.org described the rapid success of this phenomenon and critically looked at four claims frequently made by this campaign. The second article continued the critical examination of nine additional claims frequently made by anti-Agenda 21 activists. The second paper also reviewed the anti-Agenda campaign’s claims as a matter of ethics. Although the claims that have been made by activists in the Anti-Agenda 21 campaign are so looney, absurd, and woefully ignorant of international law that some who have been aware of this recent development in US history have chosen to ignore it on the basis that it could never achieve traction in a modern democracy in the 21rst Century. Yet as we have explained in considerable detail in past articles in this series, the anti-Agenda 21 campaign has been remarkably successful in the last two years in preventing local communities from implementing plans necessary to achieve their democratically derived community aspirations concerning. among other things, protection of air and water quality, reducing traffic congestion, creating bike lanes, improving public transportation, reducing carbon emissions that are contributing to climate change, and land-use and energy planning. As we have demonstrated in the past two articles, the claims made by the anti-Agenda 21 campaign are directly contradicted by the text of Agenda 21. They are also deeply misleading about what Agenda 21 is, its legal affect on the the United States, and staggeringly inconsistent with international law. A new paper is now available that combines the previous two entries in Ethicsandclimate.org while expanding on them. This paper is designed to be a rigorous reference for those who want to respond to the claims of the anti-Agenda 21 campaign in detail. This article continues the analysis of the anti-Agenda 21 disinformation campaign begun in our last article. In that article we looked at the four claims about Agenda 21 that appeared in a resolution passed by West Cornwall Township in Pennsylvania which are also very frequently being made by activists in the anti-Agenda 21 campaign across the United States. We now continue our examination of specific claims made by the anti-Agenda 21 campaign by looking at claims made by John Anthony, a conservative businessman who frequently speaks on Agenda 21 issues around the United States and who has produced a You Tube in which he makes the specific claims considered here. The claims that Mr. Anthony makes are also often being made by other anti-Agenda 21 activists. We end with a claim made by the Republican National Platform. After looking at eight additional claims in this article we examine the ethical issues raised by the anti-Agenda 21 campaign. The last entry in this series will examine the organizations who are most responsible for the anti-Agenda 21 campaign. The fact that this claim is a complete and utter canard can be determined by looking at the actual language of Agenda 21. Paragraph 3.5 (a) of Agenda 21, for instance, calls for the empowerment of local and community groups under the principal of delegating authority, accountability, and resources to the most appropriate level to ensure that the program will be geographically and ecologically specific. In addition paragraph 10.6 (e) of Agenda21, as we’ve seen above, calls for delegating policy making to the lowest level of public authority consistent with effective action and a locally driven approach. Agenda 21 does acknowledge that some environmental and economic development problems cannot be solved by one community alone because some problems do not fit the boundaries of a single local community’s jurisdiction. In these cases, governments need to cooperate to have any hope of solving the problem. For instance, upstream communities and nations can degrade the water supply of downstream nations and communities. Three or more communities may degrade a common water supply. In such cases a regional solution is required to solve the problem and Agenda 21 implicitly calls for regional government cooperation in such cases. In solving these regional problems, the United Nations is not called upon to play any role in the regional decision making. In these situations, the governments are encouraged, but not required, by Agenda 21 to consider the environmental and economic impacts in an integrated in decision-making. Some environmental problems are global in scope such as ocean acidification, ozone layer depletion, and climate change. For these problems global cooperation is necessary and the United Nations has often played a convening role in bringing national governments together to solve these problems. However, even for global problems the United Nations has no power nor attempts to dictate the elements of global solutions. The United Nation’s role in global problems has been to call nations together in negotiations to arrive at treaties which have to be ratified by national governments. In the United States treaty ratification requires a 2/3 vote of the US Senate. In global treaty negotiations, the United Nations plays no negotiating role except to facilitate negotiations among nations and sometimes to act in an administrative role in regard to the implementation of treaties. Yet even when it plays this role it reports to the nations who are parties to the treaties. Thus Agenda 21 endorses a principle which is known legally as the “subsidarity” principle. The subsidiarity principle is an organizing principle of decentralization, stating that a matter ought to be handled by the smallest, lowest, or least centralized authority capable of addressing that matter effectively. Not only is there no basis for the claim that Agenda 21 undermines regional control by replacing it with a global control, as we have seen, Agenda 21 by incorporating principle 2 of the Rio declaration acknowledges the sovereign right of nations to exploit their own resources pursuant to their own environmental and development policies. This claim is simply a lie or reckless disregard for the truth. As we have seen, Agenda 21 calls for decisions to be made at the lowest practical level in accordance with the laws and policies of that level. Nothing contained in the present Charter shall authorize the United Nations to intervene in matters which are essentially within the domestic jurisdiction of any state. Since the planning issues under attack by the anti-Agenda 21 are matters within the jurisdiction of local, regional, state or national governments, the Charter of the United Nations actually prohibits the United Nations from usurping local or regional authority. Thus, the claim that Agenda 21 calls for local decisions to be determined under the authority of the United Nations Charter is so loony and inconsistent with international law that it has obviously been made by someone who does not understand international law, yet who has been convinced by conspiracy theories that the United Nations is rapidly usurping national sovereignty. Not only does Agenda 21 nowhere say that individual rights must take second place to the rights of the collective as we have seen above, Agenda 21 is clear that governments at the appropriate scale should make decisions according to their own laws and policies, expressly reaffirms property rights, calls for judicial processes to protect rights, and is comprised of a set of recommendations for consideration by the appropriate government, not rules that must be adopted. This claim, along with many others discussed in this series, must be understood as a lie or reckless disregard for the truth. Nothing in Agenda 21 remotely comes close to saying that free enterprise should be replaced. As we have seen several times there is an entire chapter of Agenda 21, chapter 30, that calls for the strengthening of free enterprise in decision-making and Agenda 21 actually recommends greater use of market mechanisms. Many businesses and business organizations have enthusiastically supported the ideas of Agenda 21. For instance the World Council of Sustainable Buisinness is an organization comprised of over 200 international corporations that have actively participated in UN meetings on sustainability. Thousands of businesses around the world have made commitments to sustainable development. As we saw above the United State government consistently met with US business interests before taking positions on sustainability issues at the UN. The claim that Agenda 21 calls for replacement of the private sector is not only inaccurate it is preposterous. This claim apparently is made about multi-stakeholder meetings that are encouraged by Agenda 21 at the appropriate government level. Multi-stakeholder meetings are usually organized by the government unit that is considering action relating to planning. The local governments usually select which facilitators will run meetings. It is very, very unlikely that facilitators of these meeting know anything about Agenda 21 or looked to it to find rules to apply to local solutions. There is no evidence at all that all or the majority of facilitators that have participated in local declension-making relevant to sustainability issues have forced the stakeholders to come up with recommendations consistent with Agenda 21. This claim is obviously ludicrous and utterly disingenuous. There have been no proposals that have come close to limiting future domestic dwellings to the black spaces on the map nor to prohibiting people from locating their homes in rural areas. In the United States, land use decisions are made by state and local governments in accordance with state and local law. 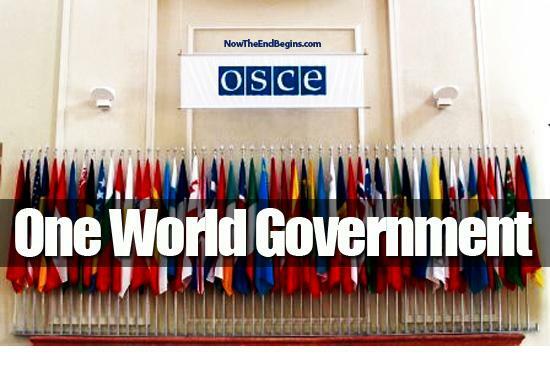 The United Nations has zero authority over the decisions of State and local governments on these issues. Agenda 21 makes no recommendations to prohibit living in rural communities. From time to time in the past state and local governments have made land use decisions that restrict land uses to protect wild life and natural resources but they have not done this in response to Agenda 21. Some governments may also choose to restrict certain land uses for ecological preservation reasons in the future. Property owners of lands that might be identified to be preserved for ecological reasons have strong property rights in the United States that prevent the government from taking their property without just compensation and due process of law. Agenda 21 not only does not undermine the rights of property owners, it reaffirms them as we have seen. National plans, goals and objectives, national rules, regulations and law, and the specific situations in which different countries are placed are the overall framework in which integration takes place. In this context, it must be borne in mind that environmental standards may pose severe economic and social costs if they are uniformly applied in developing countries. As we have also explained above , Agenda 21 expressly recognizes the sovereignty and right of nations to exploit their own resources according to their own needs. Agenda 21 is simply a menu of options for consideration, not a set of rules to be applied. Agenda 21 not only does not erode American sovereignty in any way, as we have seen throughout this analysis it reaffirms national sovereignty. First, we have seen from the quote above that Section 8.2 expressly provides that the law of nations is the basis for integrating environmental and economic issues in implementing Agenda 21. Second, we have seen that Agenda 21 is simply a menu of options not a set of rules to be applied in nations. Third, we have seen that the Charter of the United Nations says that the Charter does not give the United Nations the authority to interfere with matters rightly within the jurisdictions of nations. Fourth, we saw that paragraph 10.6 (e) of Agenda 21 calls for delegating policy making to the lowest level of public authority consistent with effective action and a locally driven approach. Sixth, it is a well establish principle of international law that nations are not bound by international agreements unless they are treaties that have been ratifies or adopted according to national law. In the United States, the US Senate must ratify a treaty by 2/3 vote of the United States Senate. The United States never ratified Agenda 21 nor even considered so doing because it was universally understood to be a non-binding document from its conception. In summary, the United States retains full, undiluted sovereignty over matters discussed in Agenda 21. Nothing in Agenda 21 remotely undermines the sovereignty of the United States. We now look at the anti-Agenda 21 campaign phenomenon through an ethical lens. 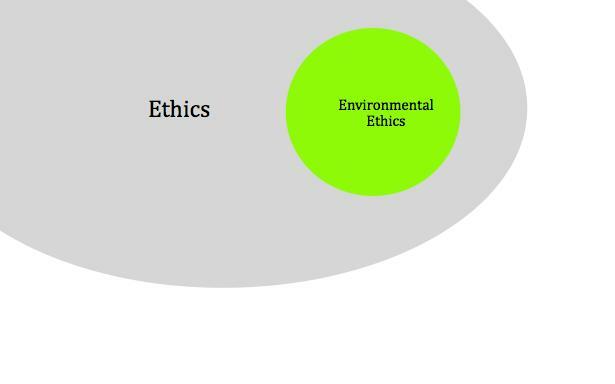 We end this ethical analysis with a reflection on the ethics of sustainable development. 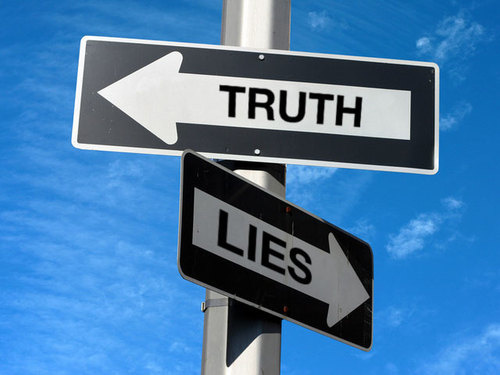 We have seen in this series of articles that the assumptions and claims of the anti-Agenda 21 campaign are very frequently based upon either lies or reckless disregard for the truth. Over and over again, claims of this campaign are made about the meaning or effect of Agenda 21 which are directly contradicted by the text of this document or are based upon a completely delusional understanding of the potential power of the United Nations over local or regional governments in the United States as a legal matter. As we noted at the beginning of this series, citizens have clear rights to protect their interests by participating in and attempting to influence local and regional planning efforts. There is no doubt, some land-use decisions have occasionally infringed upon property rights. In these cases existing US law provides legal protection for redress. 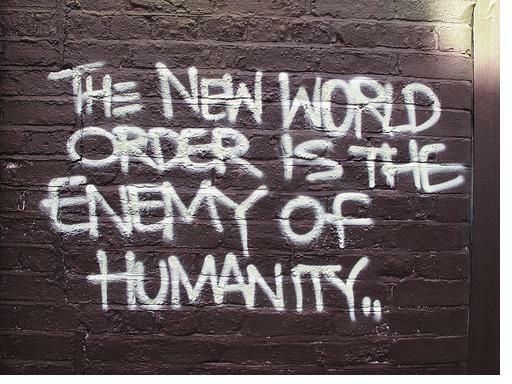 Nothing in Agenda 21 can be construed to change this. However those seeking to influence government processes have no rights to tell utter untruths about issues in contention. For this reason, the tactics of the anti-Agenda 21 campaign are ethically problematic particularly in light of the magnitude and scope of the misinformation the anti-Agenda 21 campaign has been inserting into discussions about local planning issues. The tactics of the anti-Agenda 21 campaign include not only include large doses of misinformation about Agenda 21, they also appear to be designed to scare uninformed citizens that their rights are being taken over by the United Nations which is in the process of undermining national sovereignty in pursuit of imposing a Marxist/socialist one world government. And so, the tactics of the anti-Agenda 21 campaign include the spreading a huge number of false claims that are being used to scare uninformed citizens. These tactics are clearly morally reprehensible. As we explained, Agenda 21 is a document that encourages but does not require governments around the world to pursue integrated decision-making about environmental, economic, and social issues at the global, national, regional, and local scales. The idea is premised on the notion that if economic, environmental, or social policies are pursued by themselves they may prevent the achievement of legitimate environmental, economic, and social goals that may be achieved in integrated decision-making. The idea of sustainable development does not give strong guidance on how to reconcile conflicts between environmental and economic goals. As we noted in the first part of this series, the definition that is usually used to define the term is notoriously vague. Namely, sustainable development is development which meets the needs of present generations without compromising the ability of future generations to meet their own needs. This definition could be understood to allow destruction of all natural resources if technology finds substitutes, makes human needs the measure of value for natural resources, fails to recognize duties to sentient animals, makes no distinctions on what human needs are, etc. As a result, many environmental ethicists have criticized the term the idea of sustainable development for its failure to be clearer about the value of nature and animals. Similarly many environmental activists have criticized the concept of sustainable development on the basis that its implicit valorization of development will lead to environmental destruction. Yet it can be argued, that the idea of sustainable development is worthwhile pursuing practically and ethically despite its ethical vagueness because it calls for decisions relating to economic development to take into consideration potential adverse environmental impacts. It also encourages governments considering environmental protection policies to consider unwanted impacts on legitimate economic development objectives. Because environmental and economic goals can have ethical significance, sustainable development is ethically supportable despite the lack of clarity about how to resolve conflicts between environmental and economic goals. For this reason, sustainable development is what philosophers call an “orienting” concept. It helps orient decision-making to consider the right thing to do, even if it is ethically incomplete in giving guidance on how to resolve environmental protection and economic development conflicts. Many other “orienting” concepts which contain no ethical rule but are helpful are frequently used in public life. For instance, the very word “justice” is such an orienting concept. The word “justice” in the abstract does not tell one what should be done when distributing societal benefits but it is useful in orienting thinking about what is a fair distribution of societal goods in human affairs 0r when procedures should be created to provide rights of participation in decisions for those who could be affected by government decisions. For the same reason, a call for integrated decision-making is ethically positive even if it does not resolve all conflicts about environmental and economic issues. This is so because many governments have pursued economic development objectives or environment protection goals without consideration of how policies in each of these areas might affect the legitimate aspirations of the other policy goals. For instance, very frequently economic development projects that affected water quality have been approved before the project’s impacts on water quality were considered. Because people have a right to not have the water on which they depend degraded by others, it is ethically required that adverse impacts on water quality be considered in economic policy decisions that could affect water quality. There are also many examples particularly in developing countries where projects which proposed to restrict the use of natural resources have been approved without consideration of the adverse impacts that would follow by restricting natural resource on local indigenous people who depended on the resources for subsistence. Ethics requires that environmental decisions consider how people’s subsistence needs may be affected by environmental policies. And so the idea of sustainable development is ethically supportable despite its lack of clarity about how to resolve conflicts between environmental and economic goals. In cases of conflict between environmental and economic goals, governments need to look to other ethical principles contained in law or ethical theory to resolve conflicts. And so, sustainable development is an ethically supportable goal despite the fact that its it gives incomplete ethical guidance on how to resolve conflicts between environmental, economic, and other policy goals. It would appear that the anti-Agenda 21 disinformation campaign is always opposed to the idea of sustainable development that encourages integrated decision-making on environmental, economic, and social policies. Such a position is itself ethically problematic precisely because people and governments have ethical duties to avoid certain kinds of adverse environmental, economic, and social impacts on others. Therefore, we conclude that the anti-Agenda 21 campaign can be criticized on ethical grounds for many reasons including the fact that it appears to be opposed to integrated decision-making on projects that can have adverse environmental, economic, and social impacts. We have demonstrated that the claims of the anti-Agenda 21 campaign are built upon misleading and inaccurate claims about Agenda 21. We have also shown that the tactics of this campaign are ethically problematic. The last entry in this series will look at the organizations that have been propagating the claims that we have examined in this series. New Book Describes Ways To Accelerate US Transition To Sustainability-Including A Greater Emphasis On Ethics. The idea of sustainable development was placed on the front burner internationally at the Rio Earth Summit in 1992. As most educated citizens know, this concept called for the integration of economic, environmental, and social justice goals in policy formation and human practices at international, national, regional, and local scales around the world. The idea of sustainable development was a positive step forward in human history because humans frequently have pursued either economic, environmental, or social goals individually in isolation from each other. That is, for instance, governments at all scales have frequently pursued economic development without regard to how new economic activity might affect the environment or social justice. The great wisdom of the concept of sustainable development is this insight that pursuit of economic, environmental, or social justice goals in isolation from each other will likely have adverse impacts on the goals not considered. Acting As If Tomorrow Matters rigorously describes what has happened or failed to happen in the United States in the 20 years since the idea of sustainability got widespread international attention at Rio. To seriously examine what needs to be done to move the world on a sustainability path there is no shortcut to a thorough, ambitious, and rigorous analysis of what has happened and failed to happen. This is particularly true of a concept like sustainable development that creates immense policy challenges because of the ambitiousness of this idea’s scope. And so, if one wants to know what has happened on sustainability, there is no escaping the need to go deep on matters that are both wide ranging and complex and that have been unfolding for 20 years. Because of the sheer complexity of the idea of sustainable development any serious analysis of progress must rely on experts and analysis beyond the disciplinary kens of most individual human beings. One of the most significant contributions of this new book is to make even veteran sustainability watchers aware of sustainability developments in areas that they have not been following. No one person can be an expert on even the major developments in environmental protection, economic development, and human flourishing. There is simply too much to follow. And so, another virtue of this book is that Professor Dernbach has obtained the cooperation of 51 renowned experts to compile the synthesis of US sustainability successes and failures. This new book examines progress in such diverse policy subjects as: (a) links between environmental protection and public health outcomes, (b) relationships between consumption and population, (c) connections between poverty and unemployment, (d) links between the built environment and sustainability outcomes, (e) national, regional, and local governments successes on sustainability, and (f) achievements in sustainability education, just to name a few. Even sustainability experts, including myself, who have been deeply been immersed in sustainable development issues since the Earth Summit in 1992 will learn from this book about sustainability progress and failures of which they were unaware . Therefore, perhaps the greatest contribution of this new book is to make those working to make sustainability a reality aware for the first time of achievements, failures, and case studies relevant to sustainability’s future progress. I, for instance was unaware of many sustainability developments discussed in this book such as: (a) the fact that some US states now require that climate change impacts be described in any environmental impact study, (b) the impressive number of programs or projects on sustainability at the local government level in the United States, (c) that 1000 US mayors have joined a mayors’ climate change prevention program, and (d) that the city of Chicago has over 400 green roofs. And so even the most experienced sustainability expert will get ideas from this book about how to improve the US sustainability performance. Acting As If Tomorrow Matters not only describes progress on sustainability, it makes it clear that US performance on many sustainability issues has been a dismal failure on some matters. In fact, another virtue of this book is that in describing obstacles to sustainability it does not pull punches. The book makes clear that despite modest success on some sustainability issues, the US has failed to adequately implement the concept because of some persistent obstacles that have been blocking US progress. 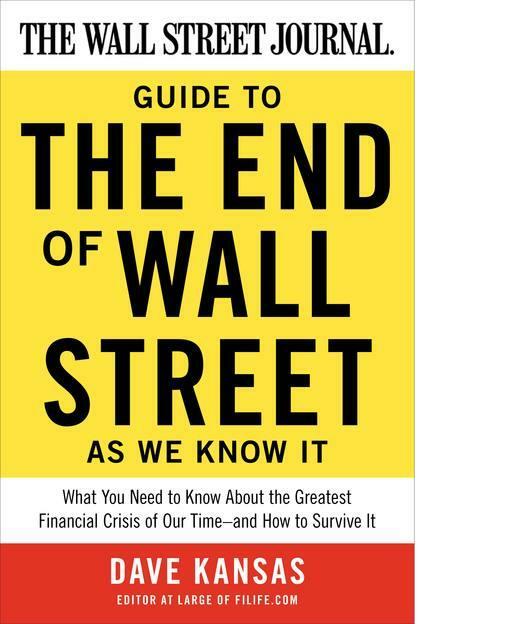 In this regard, the book discusses the following barriers to US progress: habits, lack of urgency, confusion about sustainability options, unsupportive law and governance, and perhaps most importantly strong political opposition to sustainability policy proposals. The book also makes recommendations on how to overcome these obstacles including developing better sustainability choices, improving law for sustainability, and perhaps most importantly, the need for a new sustainability social movement. Woven throughout the book are implicit and express claims that sustainable development must be understood essentially as an ethical and moral matter because what is at stake is the very future of the quality of life on earth. Sprinkled throughout the book are references to morality and ethics including discussions of religious and moral leaders who have been provoking wider public discussion of the ethical dimensions of sustainability. This inclusion of ethics in what is otherwise a policy book makes it unique among serious analyses of sustainability achievements and failures. The importance of seeing sustainability problems as ethical matters becomes apparent when one considers the comments of some observers that have criticized the very idea of sustainable development because there is no precise definition of the idea that would allow for its unambiguous implementation when there are conflicts between environmental, economic, and social goals. Yet this is where ethics and morality become so very important. During a 30 year debate about climate change policy action the United States’ opponents of domestic legislative action have objected on the grounds that new climate change policies will unacceptably increase costs to some industries, reduce US GDP, or make US industry non-competitive compared to other global players. Yet these arguments completely ignore US ethical obligations to the victims of climate change to refrain from harming them, creating human rights violations, or destroying ecological systems on which life depends. To resolve conflicts between increased economic costs of climate change policies and protection of the most vulnerable, ethical principles need to be consulted. When questions of scientific uncertainty have arisen in opposition to sustainability policymaking ethical considerations about who should have the burden of proof and what quantity of proof should satisfy the burden of proof need to be considered. Yet policy debates have almost always ignored these ethical questions about scientific uncertainty that policy-makers must face in decision-making. Cost-benefit analyses of sustainability programs almost always ignore questions of distributive and procedural justice that are particularly important for poor, vulnerable people around the world. Ethics demands that these justice issues be considered in policy-making. And so, in some controversial sustainability matters, ethical considerations have been the key missing element in policy disputes. For this reason, applied ethical analyses should be at the tip of the spear of the new sustainability social movement called for in this book. Any sustainability social movement should follow actual concrete sustainability issues to identify the ethical issues that need to be considered to move forward on the sustainability path. And so Acting As If Tomorrow Matters makes a significant contribution to moving the United States forward on the path toward sustainable development. Following perhaps the key recommendation in this book, interested sustainability advocates should work together to create a new social movement on sustainability armed with what we can learn from the sustainability successes and failures discussed in this book. Dernbach, J. (2012) Acting As If Tomorrow Matters: Accelerating the Transition to Sustainability, Environmental Law Institute Press, Washington, D.C.